Hello everyone!I think things are going well. Today my research is on air transport. Air transport is an important enabler to achieving economic growth and development. 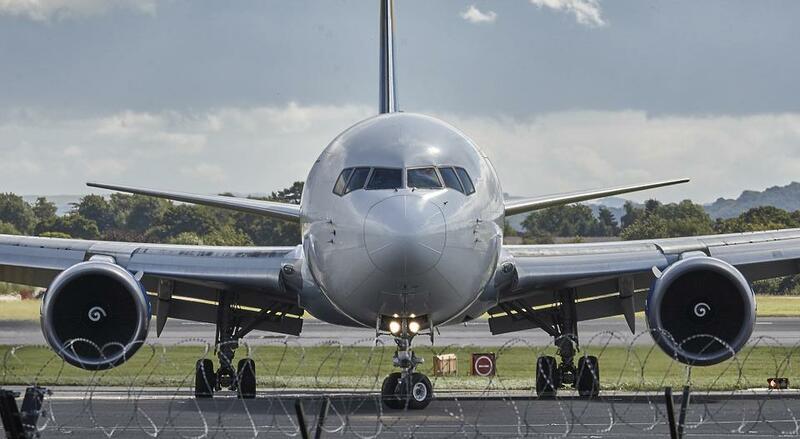 Air transport facilitates integration into the global economy and provides vital connectivity on a national, regional, and international scale. It helps generate trade, promote tourism, and create employment opportunities. The modern age in the history of air transportation began with the hot air balloon designed by the Montgolfier brothers in 1783, which was the first un-tethered human lighter-than-air flight. But the flights were limited as the balloon could only travel downwind. The air transport is the fastest compared to other modes of transport. Introduction Air transport operates at a very high speed. The high speed makes the air transport the fastest of all the other forms of transport. People can reach the destination in very less time . Air transport is uncertain and unreliable as it is controlled to a great extent by weather conditions. Unfavourable weather such as fog, snow or heavy rain etc. Air transport requires a specialized skill and high degree of training for its operation. There are many legal restrictions imposed by various countries in the interest of their own national unity. Hello Ashilline, well done work!Your post about air transport is interesting.I would like to know how air transport in kenya is now developing and also how it has helped other countries .To speak the truth i never knew that air transport had so much many limitations .I would like to know what you meant when saying that one of its disadvantages is small carrying capacity. Great work! Your research was very informative and laid out in a way that was easy to understand and fun to read. It would be interesting if you elaborated a bit more on the legal restrictions aspect to air travel, to see what kinds of limitations legal systems actually impose on air companies. Keep it up! Hey great round of research. Nice and informative in a simple and easy to understand way. I have an idea for your next round if you choose to continue this topic. I agree with you that air transport has benefited us in many ways. It has allowed us to go all over the world, experience different cultures, have it accessible in a matter of hours. It has improved the lives of humans. However, it's ironic because right now it is what is killing us. Not straight forward, but the emissions from these engines, are killing the planet. Once the planet is unhealthy, it won't be healthy for us. here are a few links to explain damage to the planet. It's an interesting thing to look into! Good job on your newest research round! Your post was detailed and organized. In other words, it was easy to understand due to the photos you added and how you bolded the titles. You started off with general information as an introduction, such as mentioning how it is the fastest mode of transport, before going into depth on specific details. It was intriguing how you mentioned that air transport is unreliable because it is controlled by weather. It’s true that factors such as fog, snow and/or heavy rain will play a role in the flights. I was curious, however, the role of the individuals that plan out the flights. Evidently, there are people operating “behind the wheel” and organizing the flight times. Consequently, how common are these flights affected by the weather? Nonetheless, I suggest that you may also be interested in researching and give some examples of the legal restrictions you described at the end of your paragraph.